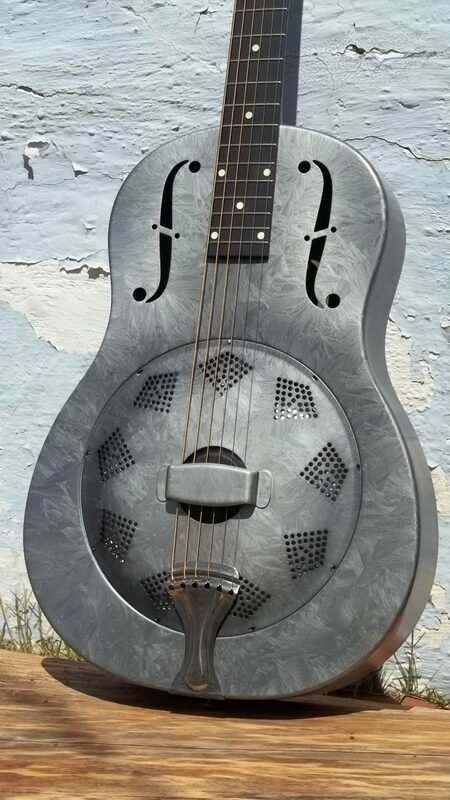 Silver/gray on a 12-fret body. This is an example of a refinished early 1930’s Duolian. 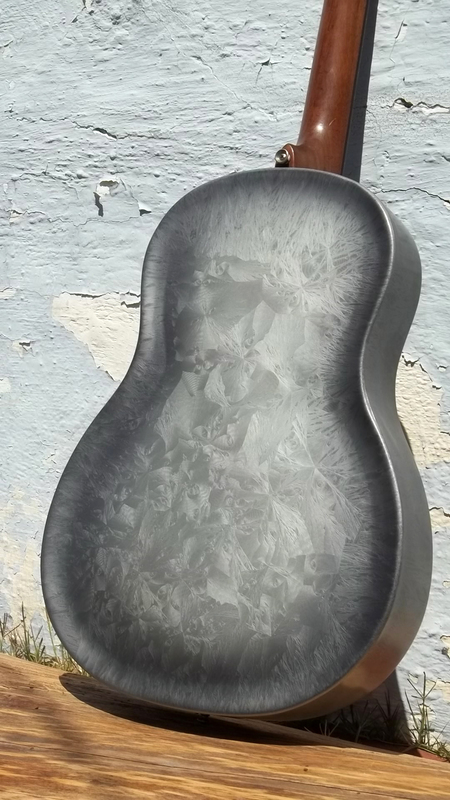 This guitar was from the first year of Duolian production. In those years they called the finish Dark Walnut to Gray. The burst (dark area) in the finish was more contrasty the first year than in subsequent years. Sometimes near black. The base color and crystal patterns were different too. The original base color also lacked a metallic sparkle in the early years. 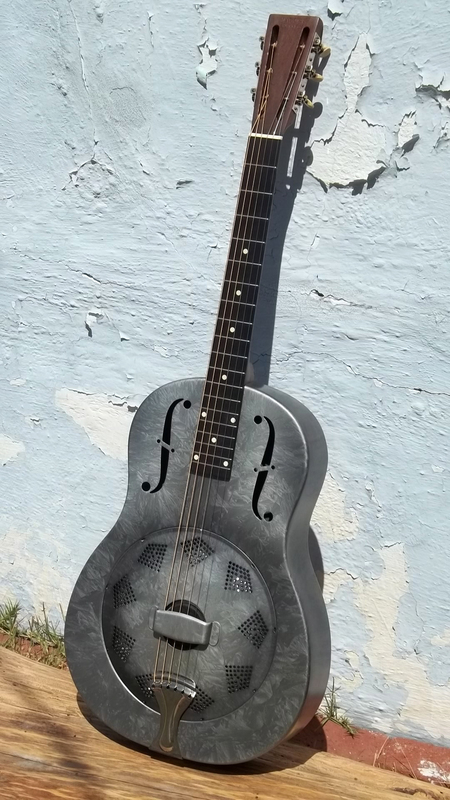 So this guitar is finished more like the later style finishes, using a metallic gray base color, but with more contrast in the burst like the early finishes. 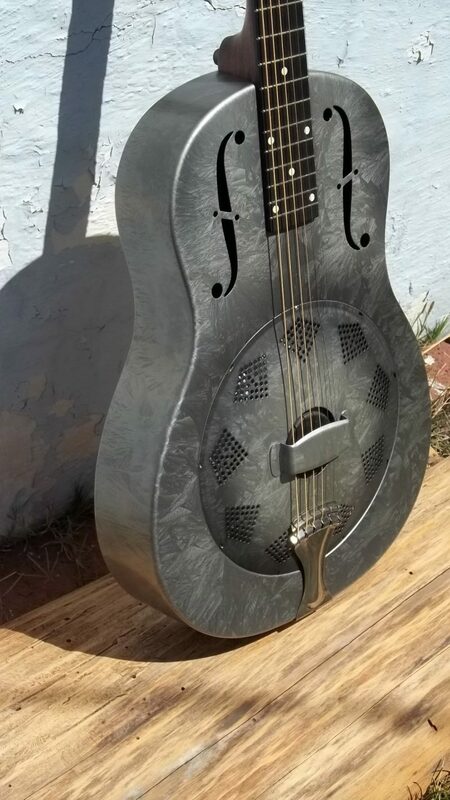 Early “frosted duco” finishes were notorious for not staying put. I don’t know if it was something that was on the surface of the steel or if it was the finish itself. In 1930-31, crystal paints were a new thing. I think they were still trying to get the kinks worked out. In later years it did get better. One thing you had to say about National, they were not afraid to try new things. 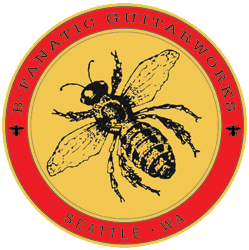 Phenolic fretboards and bakelite necks to mention a few.